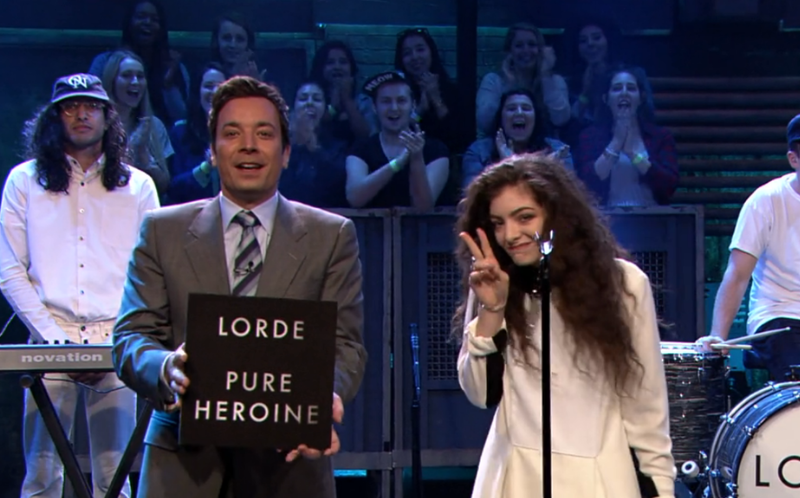 New Zealand singer-songwriter Ella Yelich-O’Connor, a.k.a Lorde, made her American television debut on Late Night with Jimmy Fallon on Tuesday night. As expected, she rolled out the highly addictive single “Royals”, along with a web exclusive performance of ”White Teeth Teens”. Given all the acclaim for her excellent debut full-length, Pure Heroine, it’s doubtful this will be the last we’ll see of her on late night. Replay below. In related news, we tallied up a list of other great artists under 18 making music. Pity your own childhood here.